Dateline November 9 1996, the “Super Eagles” of Nigeria had converged at the main bowl of the national stadium surulere for the very first match in a series of matches for the African leg of the qualifying series for the 1998 world cup to be held in France. The team had not played any competitive matches (as the super eagles) in two years having opted out of the CAN earlier held in South Africa, the hype was expectedly “fever pitched”! 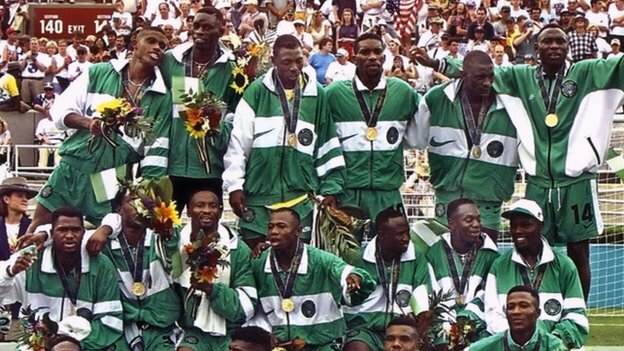 The build up to the match was frenetic; Nigeria had just won the gold medal at the Atlanta Olympics and so the star studded super eagles team comprising the likes of regulars, Okocha, Ikpeba, Okechukwu, Amuneke, Oliseh, Amokachi , returnees Eguavoen, Adepoju, Yekini, Finidi, and new invitees Akpoborie, Baruwa. The match, which was against le etalions of Bourkinafaso, ended 2-0 in favor of the Super Eagles with goals coming from Daniel Amokachi in the 46th and 77th minutes respectively. I watched that match on the then “effective” NTA network, which was the norm. It was however a hard fought victory and even though it was a capacity filled stadium (55,000), the Bourkinabes were not intimidated by the vociferous and restless football crazy Lagos fans. This team was being handled by Mr. Fix it (the original one) Amodu Shuaibu who coincidentally till date, has sort of become a go to guy each time Nigeria fires a coach. 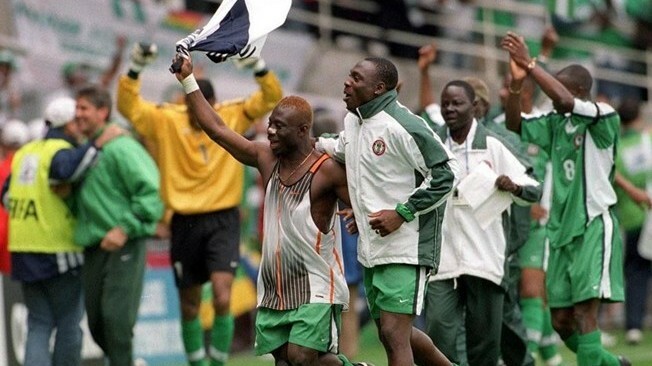 The Super Eagles eventually qualified for the France ’98 world cup, but the qualification series was besieged with a lot of hiccups and policy somersaults by the Nigerian Football Association (then called) which marked the beginning of the end of Nigerian football as we know it. A new manager was recruited in the person of Monsieur Philippe Troussier. He managed to qualify the national team for the world cup howbeit was relieved of his duties shortly after the return leg last match against the bourkinabes. The well-travelled Frenchman had introduced a new philosophy, a new style and pattern to the Super Eagles, a foreign, French induced 3-5-2 formation, which was a sharp deviation from the more direct 4-3-3 adopted by former Dutch coach Johannes Bonfere and the winged style 4-4-2 employed by “Dutchgerian” Clemens Westerhoff. The result of that was belabored wins against subsequent opponents and, after much hue and cries from the press and vociferous Lagos fans, Troussier reverted back to our much more familiar 4-3-3 in his last two matches in the series which we won comfortably. One then begins to wonder why the committee saddled with the responsibility of hiring a coach for the eagles then opted for a French coach when Nigeria had established a Dutch playing pattern. It was not rocket science to realize that if you had a winning formula working for you at all times, you’re expected to stick to it. But no, our all-knowing football technical team shot Nigeria in the “legs” again by hiring Bora Milutinovic for the world cup proper, after our usual shoddy preparations and endless debates about who to manage the “Olympic champions”. The rest they say is history. Subsequent hiring of a national team coach by the board of Nigerian football has all but been bungled and unfortunately this has affected the pattern, style and philosophy already implanted in the minds of players and fans alike. The hiring of a Manager for our national team has been fraught with inconsistencies and a lack of understanding of the principles of hiring - I recollect the hiring of a Brazilian immediately after the USA ’94 world cup, Carlos Alberto Torres under very dubious circumstances, He did not last up to a week! From appointing an old and out of touch Dutchman Thijs Libregts in 1999 to a not too convincing recall of Johannes Bonfere, to the hiring of the loquacious chief instigator of indigenous coaches (coincidentally a modakeke born chief) and Christian Chukwu, to the “clueless” German Berti Vogts, Lars Lagerback all the way down to the arrogant but yet tactically naïve Stephen Keshi. These mindless, pointless and ineffective hiring of both indigenous and foreign coaches by our FA has left Nigerian football in doldrums and its present state of despair. Little wonder the “Super Eagles” as a brand no longer commands the respect once accorded to it in international circles. We can no longer boast of sold out matches both home and abroad, our style (if we still have one) is akin to that of a blind beggar who volunteers to carry a deaf mute on his back in the hope of finding his way home. 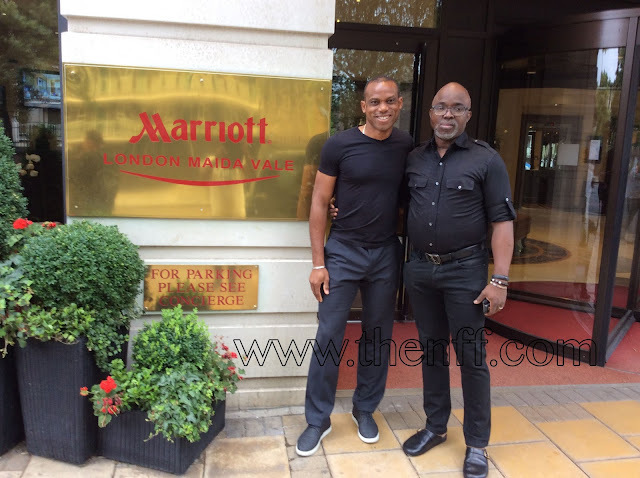 With the sack of Stephen Keshi and impending announcement of Sunday Oliseh as the new coach, NFF President Amaju Pinnick said: “Sunday Oliseh has vast experience and immense knowledge of the game, and will certainly add value to what we are doing. He has bought into our vision and objectives towards the development of Nigeria football. He will command the respect of the players and we trust he has the temperament to work harmoniously with the Technical and Development Committee, the Technical Directorate and the Technical Study Group. One would be tempted to think that the present board of the NFF and the new coach may eventually live up to its billing in formulating a policy framework that would ensure continuity in the style of play/philosophy required for our national teams, tackle the downward slide and rot in our football and elevate it back to its deserved place in world football.